His detractors and enemies have been waiting some time for this, but it must have given them moments of mild cheer. Facebook, the all-gazing, accumulating system of personal profiles and information, poster child, in fact, of surveillance capitalism, is losing users. At the very least, it is falling to that mild phenomenon in business speak called “flat-lining”, a deceptively benign term suggesting that the fizz is going out of the product. This week, Mark Zuckerberg has been more humble than usual. The latest figures show that 1.49 billion users hop on the platform daily; monthly active users come in at 2.27 billion. While both figures are increases from previous metrics, these fall shy of those bubbly estimates Facebook loves forecasting: 1.51 billion in the former; 2.29 billion in the latter. “We’re well behind YouTube”, he observed; in “developed countries”, Zuckerberg conceded that his company was probably reaching saturation. While security features of Facebook had improved, there was at least another twelve months before the standard was, in his view, up to scratch. 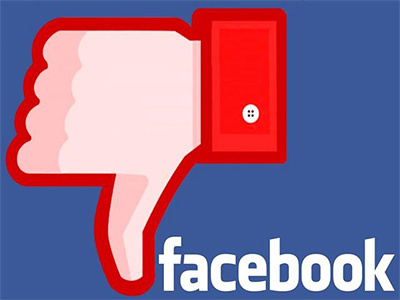 The user market in North America is flat, while in Europe, FB has experienced a loss of 3 million daily active users. The process was already underway after 2015. The moment your grandparents start using a communications product with teenage enthusiasm, it’s time for a swift, contrarian change. But social media, as with other forms of communication, is a matter of demographics and class. YouTube, Instagram and Snapchat have been beating down doors and making off with users. A May study from the Pew Research Centre found that half of US teens between the ages of 13 and 17 claim to use Facebook. But YouTube, Instagram and Snapchat are bullishly ahead with usage figures of 85, 72 and 69 percent respectively. To locus of this move is as much in the type of technology being used as behavioural change, with 95 percent of teens claiming to have access to a smartphone. A mind slushing statistic stands out: of those, 45 percent are online constantly in numb inducing ecstasy. The company, in an effort to plug various deficiencies in the operating systems, has been busy hiring content moderators, a point that has not gone unnoticed by users. This, in of itself, is a flawed exercise, and one imposed upon the company in an effort of moralised policing. Various legislatures and parliaments have gotten itchy in passing legislation obligating Facebook and similar content sharers to remove hate speech, extremist subject matter and state-sponsored propaganda. (Where, pray, is that line ever drawn?). This raises a jurisdictional tangle suggesting that local parliaments and courts are getting ahead of themselves in gnawing away at the extra-territorial nature of tech giants. This year, a German law was passed requiring social media companies to remove illegal, racist or slanderous content within 24 hours after being flagged by users or face fines to the tune of $57 million. Such legislation, while localised in terms of jurisdiction, has international consequences. Content otherwise permitted by the US First Amendment will have to be removed for offending regulations in another country. This precipitated a legal spat that proceeded to involve a Californian decision handed down by Judge Edward J. Davila, who turned his nose up at the Canadian judiciary’s grant of the interlocutory injunction. To expect companies such as Google to remove links to third-party material menaced “free speech on the global internet.” The emergence of a “splinternet” – one where online content is permissible in one country and not another – has been given a dramatic shove. Police, in other words, or be damned. By the end of September, an army of some 33,000 labouring souls were retained by Facebook for the onerous task of sifting, assessing and removing errant content. But this whole task has come with its own pitfalls, a preoccupation of danger and emotional disturbance. Those recruited have become content warriors with a need for a strong constitution, a point that has presented Zuckerberg with yet another problem. Facebook ushered in a remarkable form of dysfunction between users, and the actual platform of communication. This is very much in the spirit of a concept that lends itself to a hollowed variant of friendship, one based on appropriation, marketing and a somewhat voyeuristic format. If you can’t make friends in the flesh, as Zuckerberg struggled to do, create facsimiles of friendship, their ersatz equivalents. And most of all, place the incentive of generating revenue and profiles upon them. Facebook is not merely there for those who use it but for those who feel free to be used. This point is all too readily missed by the political classes. Facebook makes everyone a practitioner, and creator, of surveillance, and anybody with a rudimentary understanding of totalitarian societies would know what that does to trust. Split personalities and hived forms of conduct manifest themselves. Unhealthily, then, the number of users globally is still increasing, even if it is dropping in specific parts of the world. Much like the Catholic Church, reliance is placed upon the developing world to supply new pools of converts. Zuckerberg’s company faces investigations from the European Union, the FBI, the FTC, the SEC and the US Department of Justice. Such moves are not necessarily initiated out of altruism; there is the prevailing fear that such a platform is all too readily susceptible to manipulation (the horror, it seems, of misinformation, as if this was ever a new issue). Fake ads can still be readily purchased; campaigns economic with the facts can still be run and organised on its pages. But to attribute blame to Facebook for a tendency as ancient as politics is another distortion. Not even Zuckerberg can be blamed for that.